OTTAWA, April 3, 2013 /CNW/ - In support of the Inuit community of Ottawa, TD today announced a $350,000 donation to the Ottawa Inuit Children's Centre. TD's donation will help fund the purchase of new facilities located at 76 Queen Mary Street, where increased youth programming and services will be offered. The centre, a multi-service Inuit organization, provides cultural, educational, recreational and social support services to children, youth and families of Ottawa's growing Inuit community. For more than six years, the Centre and its programs have been a caring and community-oriented resource and as a result of their appeal to Inuit families, have outgrown their current space. "Families from Nunavut and other Inuit regions who settle in Ottawa want to stay connected to their culture and pass it on to their children. They want their kids to know and appreciate where they've come from," said Karen Baker-Anderson, Executive Director, Ottawa Inuit Children's Centre. "So we go beyond re-settlement support programs and incorporate and celebrate Inuit education, values, traditions, art and language into the curriculum." The Centre also provides opportunities for Inuit youth to meet and learn from influential members of their community. For generations, Inuit artists have been depicting life and culture in their artwork and Tim Pitsiulak, an Inuit artist from Cape Dorset, Nunavut was on-hand at the event to meet local youth and collaborated on an art project which will be displayed at the Ottawa Inuit Children's Centre. 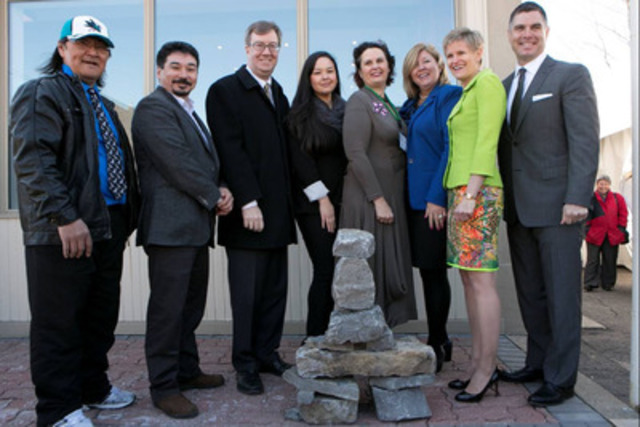 To officially open the building, Pitsiulak also joined local youth, members from OICC and representatives of TD as an Inukshuk, which traditionally means 'you are on the right path', was built outside the new building. "TD is committed to investing in our local communities and has a long standing history with the Inuit community in Canada. 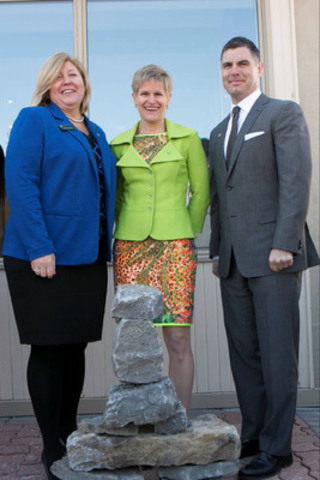 We are proud to support the Ottawa Inuit Children's Centre as it preserves and promotes the Inuit heritage amongst Ottawa's community, for the benefit of generations to come," said Teri Currie, Group Head, Direct Channels, Corporate and People Strategies, TD Bank Group. "The growing needs of the Centre demonstrate its importance in the community." In the last year alone, the Centre has welcomed and served nearly 500 children, parents, youth and community members. Additional programming available includes: Tumiralaat Child Care Centre, Kindergarten, Uqausivut Culture and Language Program, Tukimut Afterschool Program, Family Literacy Program, Bridging the Gap among many others. TD's relationship with the Inuit community in Canada began nearly five decades ago with a groundbreaking project for Canada's Centennial celebrations that would ultimately gather one of the finest collections of Inuit art, now on display at the TD Gallery of Inuit Art in Toronto. Later this month, Canada's National Arts Centre in Ottawa will host TD's contemporary exhibit, Inuit Ullumi - Inuit Today as part of the NAC's Northern Scene, the largest gathering of artists from Canada's North ever held outside the region. Ottawa Inuit Children's Centre (OICC) - Strong culture, strong families, strong community. The Ottawa Inuit Children's Centre serves Inuit children and youth from birth to 13 years of age and their families in Ottawa. In partnership with parents and the community, the OICC fosters strong Inuit children, youth and families by providing a learning environment that will enhance children's overall wellbeing, adaptability and strength in a proud Inuit cultural environment. TD Community Giving TD invests in communities to make a positive impact where it does business and where our customers, clients and employees live and work. In 2012, TD donated over $65 million to support community organizations in Canada, the United States and the United Kingdom. In Canada, we focus on Education and Financial Literacy, Creating Opportunities for Young People, and the Environment. For more information, visit www.td.com/corporateresponsibility.